An antique round byzantine design for this stone planter with elaborated geometric decorations depicting leaves and birds scenes. 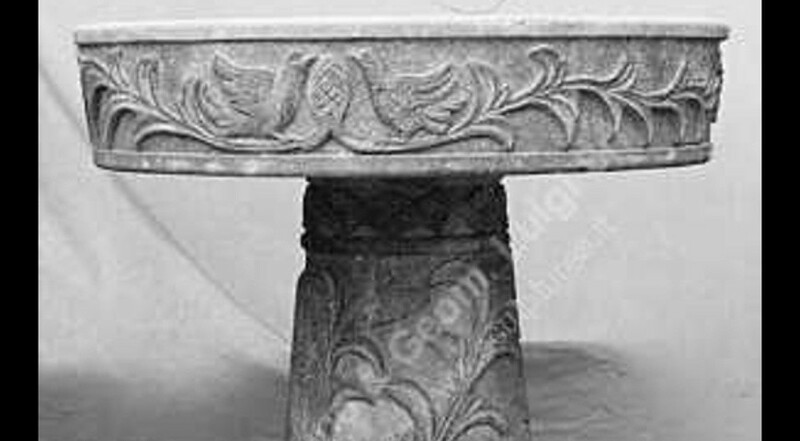 The top round planter is decorated with flowers and birds, typical of the byzantine empire; all parts are very elaborated, the round top part, the base and the little round base with the typical geometric details. The Byzantine Empire (or Byzantium) was the Eastern Roman Empire during the periods of Late Antiquity and the Middle Ages, centred on the capital of Constantinople.